What is the purpose of the plastic order picking truck? 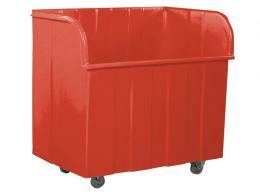 This plastic order picking truck from The Workplace Depot is constructed of polyethylene that is food grade and the unique cut away lip style design makes for easy loading and unloading, transportation and storage of goods. The plastic truck is great for handling all sorts of materials and is especially useful on factories and warehouses. The truck is available in several colours, including black, blue, green, red, white and yellow. The plastic order picking truck is perfect for factories and warehouses. The completely smooth interior makes cleaning easy and the lip design makes for quick and effortless loading and unloading of goods. Whether you want to use the bins to separate recycling, transport heavier items, store goods, keep products on hand or load and offload products, these plastic order picking trucks will come in handy in your store, office, warehouse or factory. Order your plastic order picking truck today from The Workplace Depot and get free delivery in 10 – 15 working days. The trucks are made from polyethylene that is food grade and the internal dimensions measure 1175W x 720D x 1045H. The unique design of this plastic order picking truck allows for effortless loading and the 2 swivel and 2 fixed corner mounted castors make transportation smooth and simple. 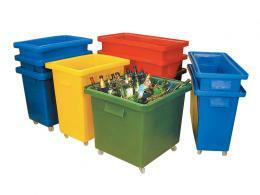 The trucks hold a capacity of 885 litres and are available in a range of colours. The trucks comes with a one-year warranty on parts and labour as well as a Price Promise to match any price. The Workplace Depot accepts several forms of payment, including MasterCard, Maestro, Visa and PayPal. We also offer an easy returns/exchange policy. If you have any queries, please contact our sales team today.